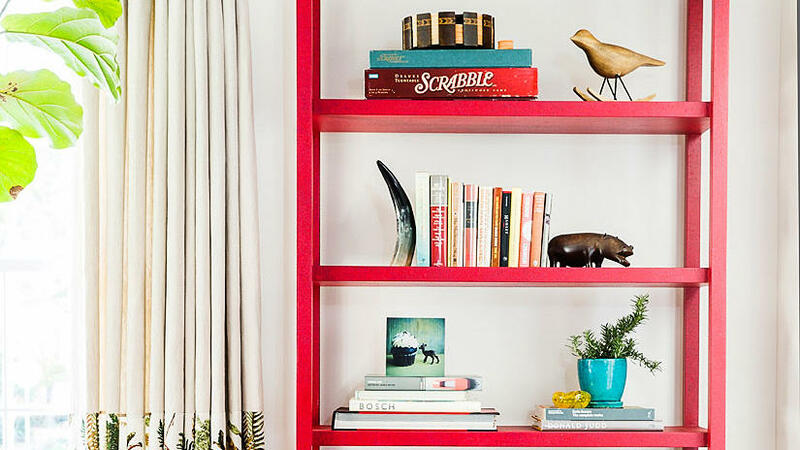 A colorful, organized bookshelf can be as eye-catching as art. Using mismatched bookends and artifacts in a tidy way makes a modern room feel more personalized. A coat of white paint on the fireplace does wonders to harmonize a space filled with modern design elements. Lanterns offer an updated alternative to traditional lamps. Floor to ceiling windows ensure plenty of light enters this contemporary setting amongst the trees. 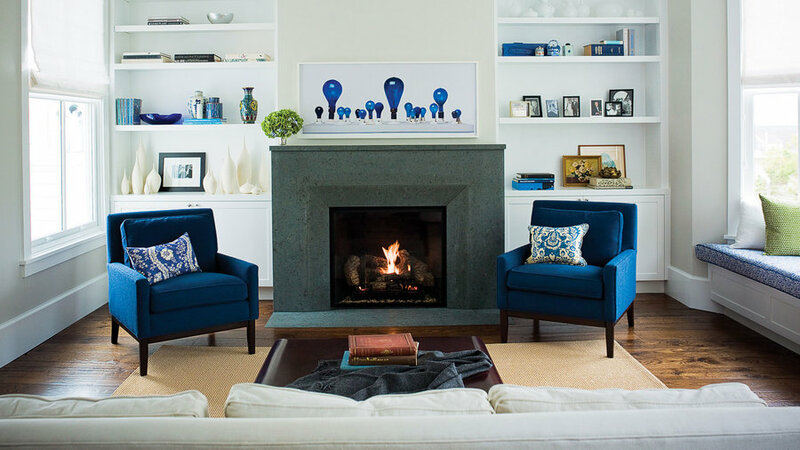 The brightly colored furniture helps warm up their cooler-toned fireplace. Bold polka dots, geometrics, and even stripes can fit into a modern design. Just place patterned pieces strategically near solids for balance. 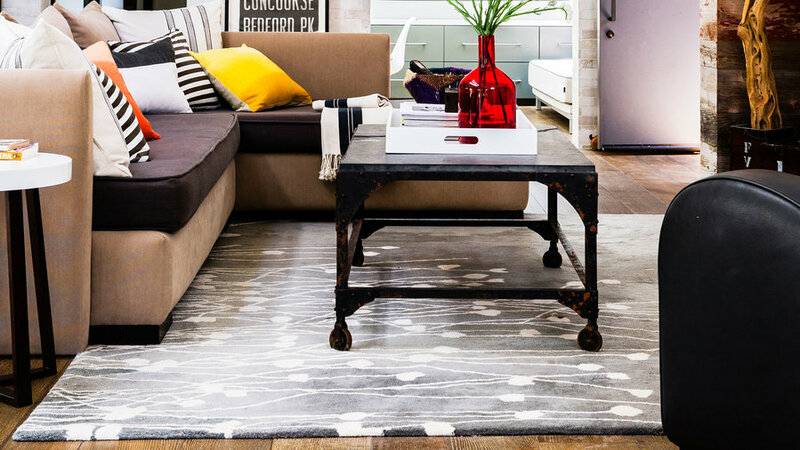 A patterned rug goes seamlessly with a clean, cotemporary look. 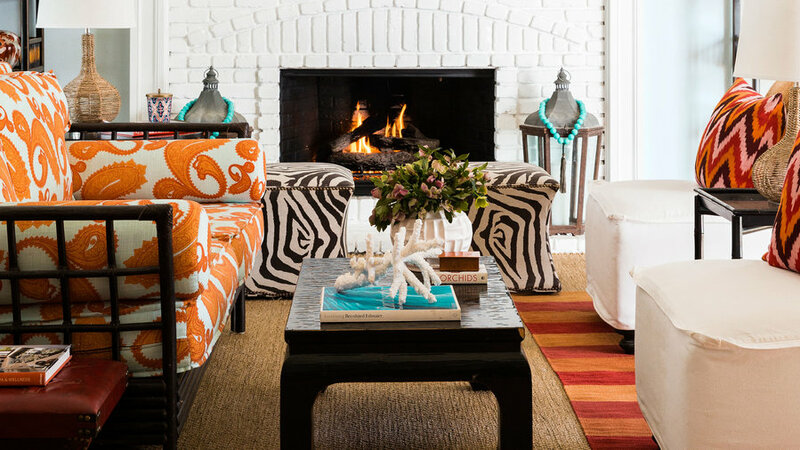 Small hints of color in throw pillows and a bright vase break up the color palette. Out-of-the-ordinary pieces work well in a sleek and minimal space. 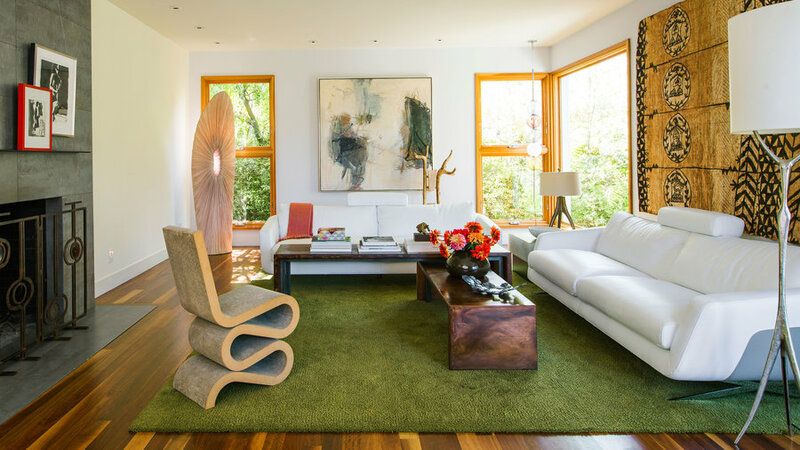 Wooden and green elements help give this modern room a natural feel. A single focal color in various shades really stands out against a white backdrop. 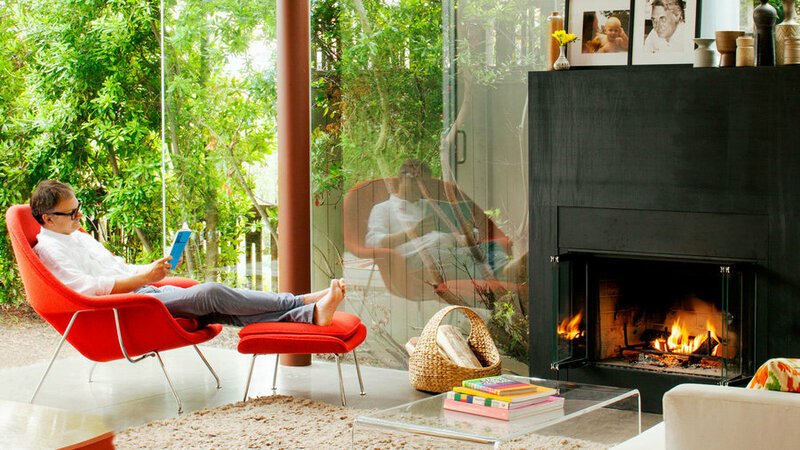 To modernize an old fashioned fireplace, consider a cool concrete façade. Modern rooms call for a bold accent wall. While complementary artwork can be tricky to find, an art collage made up of smaller prints becomes a focal point. 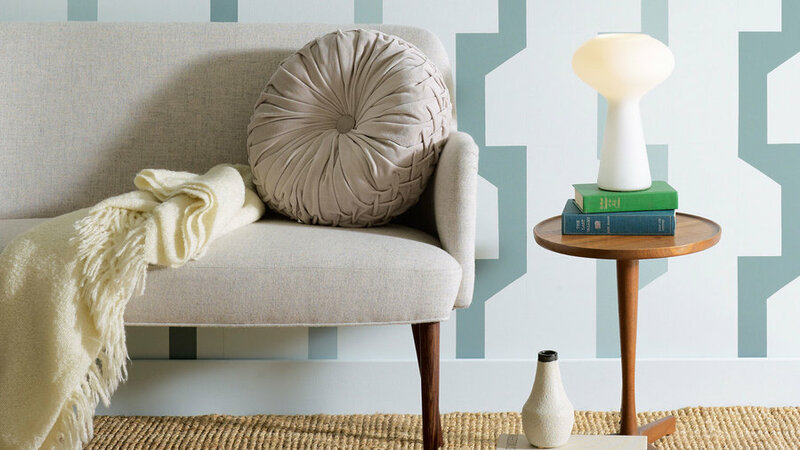 A painted geometric wall pattern offers a contemporary contrast to simple furnishings. Adding a textured rug in a neutral color completes the look. Modern lamps and lighting help distinguish a living space with an open floor plan. Mixing wood with black and white looks sleek in this room.